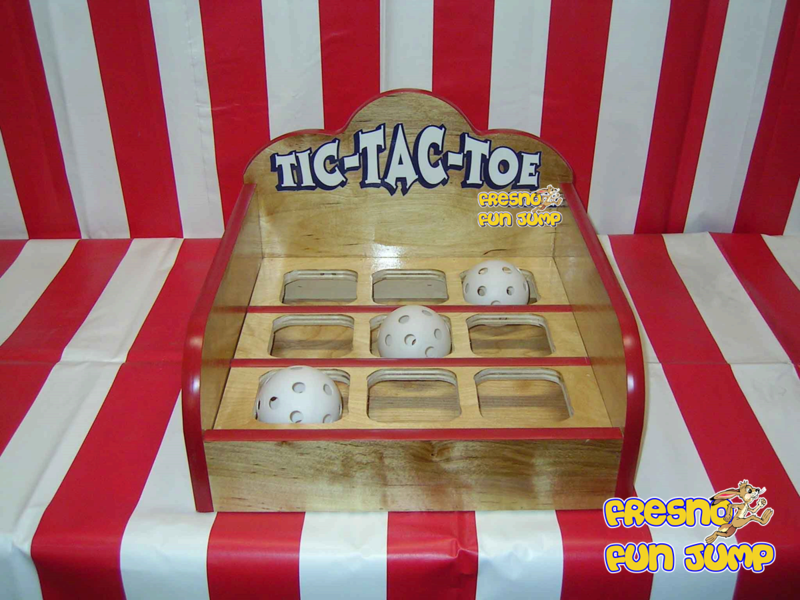 The old classic Tic Tac Toe Carnival Game. 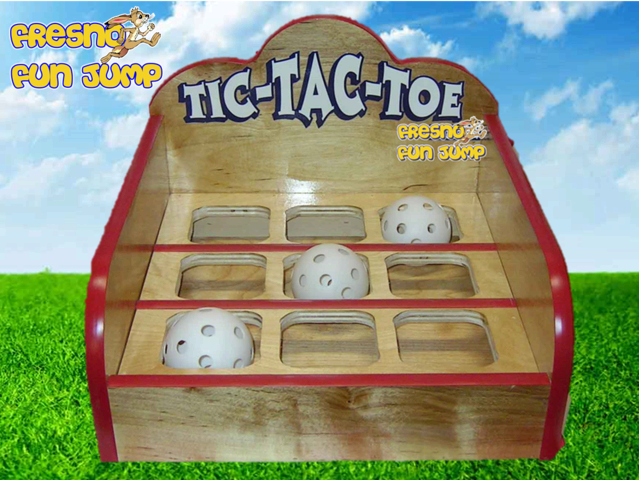 The goal is to toss the whiffle balls so that they line up in a row -- either all down, all across, or diagonal. Get all three in a row and you WIN! Suitable for all ages. To change the game difficulty level, simply have the player stand closer or further away from the game.